Faculty, staff and academic/student-services administration can learn how to improve their skills as career development facilitators for students. Free financial counseling, skill workshops and legal assistance added to the available services. 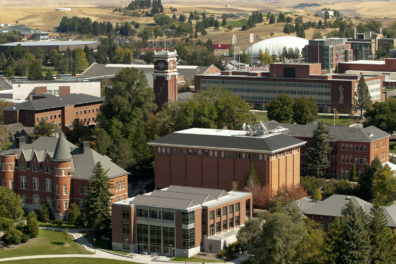 The test will include the campus outdoor warning sirens and the electronic door-locking capabilities on the Pullman campus. Learn about RSS, blogs, social bookmarking, social networking and how to use them for your work at WSU. This hands-on computer lab offers an overview of concepts and a chance to start using these web resources to help you keep up and keep track. Attend this live online tutorial at 6:30 p.m. on March 8 to find out how Google Scholar can aid your research process and how to access full-text publications you find through Google Scholar. The Cougar Crew team will be available March 3 – 4 and April 14 – 15 for $15/hour per rower to help with house and yard projects. Several workshops focusing on universal design for accessibility are scheduled for the week of Feb. 26 at WSUV. This workshop will provide background on the differences between the most popular browsers and some tips and tricks for customizing a web browsing experience. WSU introduced Activity Insight earlier this year as WSU’s new faculty annual review information system, replacing WORQS. Advice, tools, and techniques that will make your grant application process more productive. Application requirements include a project overview, work plan, citation list, and the endorsement of the applicant’s chair. This course explores people’s ability to recognize, understand and manage their emotions, and how to apply this understanding to team development, effective communication and motivation. This course provides insight into the purpose and use of facilities and administrative costs charged to sponsored projects. Environmental Health and Safety is asking the WSU community to pause for two important safety related tasks. Become a more efficient researcher by investing 30 minutes at 6:30 p.m. Feb. 22. This course focuses on WSU’s planning and budgeting process, and it includes identification of sources and types of funds that impact WSU’s budgets. This course is designed to acquaint managers with the basics of the Public Records Law, the types of records that are public and must be produced, WSU policy relating to public records and the process for responding to requests.